The new chapter in our company’s history begins! We are happy to inform you about our cooperation with ESTETICA USA Magazine. Strength in numbers and unity! Beauty from all over the world is now at your fingertips. Buy the print version of any book. iPad/iPhone & Android editions are included! "1000 HAIRSTYLES," the book + FREE booklet "1000 HAIRSTYLES, step by step"
The hard cover edition is offered in English, German, Spanish and French. ENJOY! HAIR'S HOW presents 1000 topnotch hair looks that were inspired by a series of recent collections that debuted in the portfolios of some of the world's most renowned hairstylists. LEARN! Our complementary "1000 Hairstyles" Step-by-Step booklet enables professionals and aspiring artists to truly master their craft! 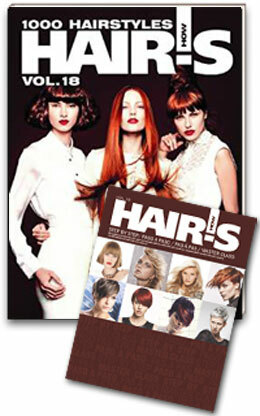 This glossy photo book joins HAIR'S HOW's comprehensive series of professional styling books. In this book, you can explore a variety of styles that are ideal for all hair lengths and types—including short, long, curly, straight, obedient, and rebellious. This simple step-by-step guide will serve as a handy resource for selecting ideal looks to suit the needs of a truly diverse clientele. 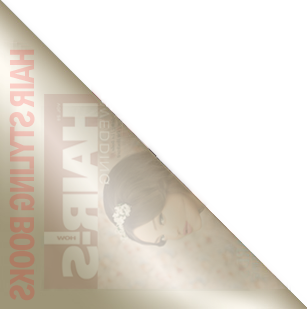 ● More than 1000 Hairstyles from leading world stylists. FREE pull out technical booklet "1000 HAIRSTYLES, step by step"
A free Step-by-Step supplement - 22 step by step booklet enable both professionals and beginners to easily recreate hot hairstyles featured in 1000 HAIRSTYLES book!